Sensational classic gold hits, spanning the 50s through to the 70s, will be aired in the show That’ll Be The Day. Live music performances and stunning costumes are guaranteed to have the audience on its feet and dancing in the aisles before the night is over. 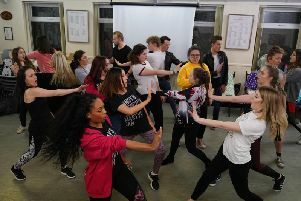 The songs will be mixed with a fair helping of comedy in a rock ‘n’ roll variety production which has been touring for three decades. That’ll Be The Day will be staged at Buxton Opera House on Thursday, October 20 and at Chesterfield’s Winding Wheel on Monday, October 24.